Podcast #18: How to Figure Out What to Charge for Corporate Wellness Services. Published on November 18, 2009 in Uncategorized. 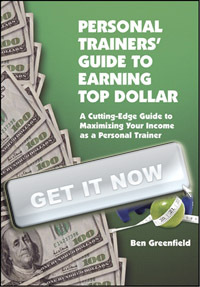 3040 Commentshttp%3A%2F%2Ftrainfortopdollar.com%2Fpodcast-18-how-to-figure-out-what-to-charge-for-corporate-wellness-services.htmlPodcast+%2318%3A+How+to+Figure+Out+What+to+Charge+for+Corporate+Wellness+Services.2009-11-19+04%3A59%3A58Ben+Greenfieldhttp%3A%2F%2Fwww.trainfortopdollar.com%2Ftrainfortopdollar%2F%3Fp%3D304 Tags: corporate personal trainer salary, corporate personal training, corporate wellness.